The Walking Company Sales Associate Pierre'ae with three pair of ABEO walking shoes purchased by We Get Around Chief Photographer Dan Smigrod at Lennox Square in Atlanta Sunday (15 February 2015). ABEO 3D personal feet analysis for We Get Around Chief Photographer Dan Smigrod at The Walking Company in Lennox Square in Atlanta on Sunday (15 February 2015). This tool is used to select the orthotic insert. | Image courtesy of The Walking Company. Since We Get Around bought our first Matterport Pro 3D Camera in July 2014, our Chief Photographer Dan Smigrod has created WalkAround tours of the equivalent of more than 125 homes which translates to walking 500+ miles. Dan estimates that he will walk nearly 1,000 miles in 2015 creating three dimensional (3D) models of greater Atlanta area luxury homes and commercial real estate and potential locations for film/TV production. "I bought three pair of ABEO walking shoes: two Hylan [Black, Brown] and the Dreydon Neutral [Black]," says Dan. "The Walking Company Sales Associate Pierre'ae described the Hylan walking shoes – 'like walking on marshmallows.' When I walk six miles a day, a marshmallow-like walking experience matters. The Hylan walking shoes are super-comfortable with the addition of the premium orthotic [ABEO 3D³ Orthotics Premium Orthotic-Metatarsal] and I DO feel like I am floating." "The Dreydon walking shoes are perfect when I am creating WalkAround tours in places like The Residence at Mandarin Oriental, Atlanta because they look like dress shoes rather than casual walking shoes. You might mistake me for the owner of a $2.3 million furnished two-bedroom residence in these lace-up shoes." "While all three shoes look great, I still use disposable shoe covers to keep floors clean," adds Dan. "If someone was walking six miles in our home over the course of a day, that's what I would expect." Dan also bought socks (black, tan) and Restore shoe refresher. So why write a blog post about walking shoes? We Get Around Chief Photographer Dan Smigrod often walks six miles – 14,686 steps – in a day creating Matterport 3D Showcase WalkAround tours. "It's great exercise in addition to my Argentine tango dancing," says Dan. 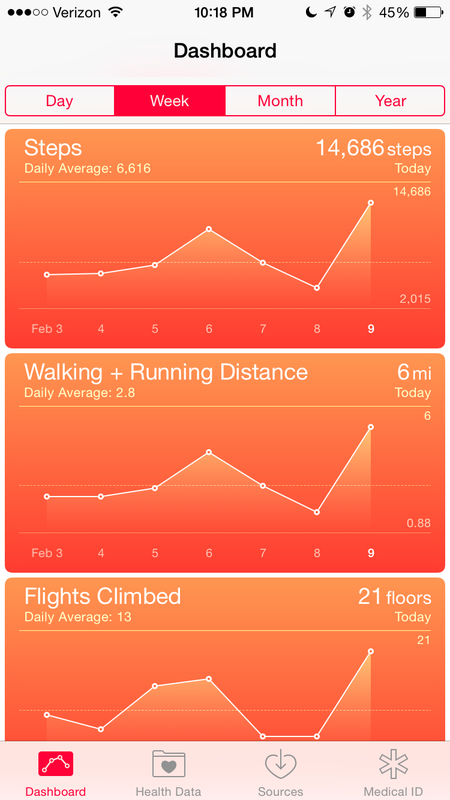 | Dan's iPhone Screen Grab of Health App. "As the founder of the Matterport User Group Forum with hundreds of viewers daily, the question of comfortable walking shoes will likely come up again and again as members of our community start to log as many miles as I have creating our unique form of 3D 'WalkAround' tours of spaces," says Dan. "Our Forum members contribute tips, best practices, lessons learned and seek help and advise from seasoned pros," says Dan. "Writing about our gear and accessories – including our walking shoes – just makes it easier for all of us to keep 'pace' with creating our unique Matterport 3D 'WalkAround' tours." Matterport photographers typically walk around the camera as it turns (scans) 360º to take multiple images that subsequently gets stitched together to create a Google-Street-View-on Steroids-Like three-dimensional model walking tour. Matterport 3D Showcase models can contain as many as 200 360º scans, take less than a day to shoot and are delivered the next day.